Are gravity and signs of aging causing your skin to droop and sag? Dr. Gail Humble proudly features an impressive solution, Silhouette Instalift, a non-invasive facelift which adds years of confidence to your life. She is one of the few facial surgeons in California qualified and trained in the revolutionary, FDA approved new procedure. The treatment is performed in under an hour and provides long-lasting results which are enhanced over time. Dr. Humble is excited offer Silhouette Instalift, an impressive new technology which tightens and improves your finest features without the risks associated with surgery. 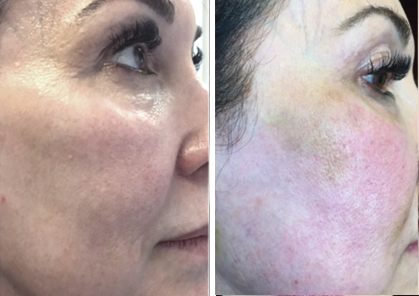 Silhouette Instalift is quick, non-invasive treatment in which Dr. Humble utilizes absorbable sutures to lift and enhance lax skin prevalent in the facial and decollete regions. While thread lifts have been performed in the realm of dermatology for years, Instalift provides expedient and impressively natural results. Unlike traditional facelifts which tend to focus only on tightening skin, we utilize the Silhouette Instalift treatment to create firmer, plumper and more voluminous skin. Impressively, as the sutures become absorbed by your body, collagen production is enhanced, boosting your skin’s shine. The safe procedure effectively tightens sagging skin and minimizes deep jowl and smile lines within only forty-five minutes. We credit this advancement in technology to the combination of dissolvable threads and cones infused with polylactic acid. This special material triggers the body’s natural response and as scar tissue is created, your face is naturally lifted and re-contoured for an appearance you can once again be proud of. 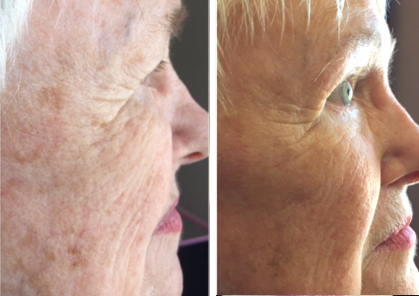 Dr. Humble performs this facial rejuvenation procedure in her office in just under an hour. The non-invasive procedure requires no anesthesia, instead we utilize lidocaine to make your treatment as comfortable as possible. The procedure is safe and painless because the physician targets facial regions with very few nerve endings. 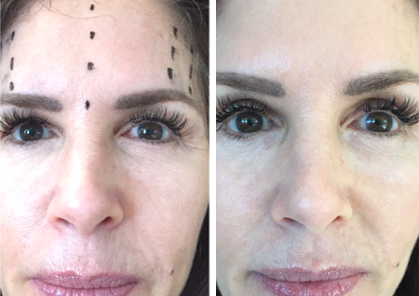 Throughout the Instalift, Dr. Humble places several micro incisions throughout the treatment areas. As the sutures are strategically placed into the intended regions, your skin will be tightened and secured into place. The utilization of bidirectional cones allows Dr. Humble to have precise control over the lift, offering a more realistic overall appearance. Since this procedure is non-surgical, you won’t experience any downtime afterward. The Silhouette Instalift offers quick and long-lasting results. Alter treatment, a slight edema or bruising may occur. Sometimes, a slight depression or skin irregularity may appear at the insertion points. These typically disappear a few days after treatment. Refrain from applying make-up for as long as possible. Makeup may be gently applied after a minimum of 24 hours. Do not rub face aggressively when washing. shaving, and drying lace for 5 days: be gentle. Dr. Humble is highly qualified in the art of Silhouette Instalift and is exclusively trained in the latest cosmetic procedures. Her passion for non-surgical procedures allows her to remove years from your appearance without surgery. For a refreshed and rejuvenated appearance, please contact Dr. Gail Humble today.